sword, but wisely spoken words can heal. Christian Feminists from far and wide came together for the 2012 EEWC-CFT Gathering held in Indianapolis, Indiana, from Thursday, June 21 through Sunday, June 24, 2012. 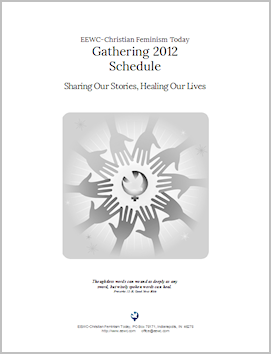 Click here to read Anne Eggebroten’s 2012 Gathering recap. Jann Aldredge-Clanton is an ordained minister, author, teacher, and chaplain. She currently serves as adjunct professor at both the Perkins School of Theology and Richland Community College in Dallas, Texas. A native of Louisiana, Jann received the B.A. degree from Louisiana Polytechnic University, the M.A. and Ph.D. degrees from Texas Christian University, and the M.Div. from Southwestern Theological Seminary. A prolific author, Jann has written numerous books, hymnals, and articles. Her most recent books are Changing Church: Stories of Liberating Ministers (Cascade Books 2011) and Inclusive Hymns for Liberation, Peace, and Justice (Eakin Press, 2011). Her other books are Seeking Wisdom: Inclusive Blessings and Prayers for Public Occasions (Wipf and Stock Publishers, 2010); Inclusive Hymns for Liberating Christians (Eakin Press, 2006); Breaking Free: The Story of a Feminist Baptist Minister (Eakin Press, 2002); In Search of the Christ-Sophia: An Inclusive Christology for Liberating Christians (Twenty-Third Publications, 1995; Eakin Press, 2004); Imagine God! A Children’s Musical Exploring and Expressing Images of God (Choristers Guild, 2004); In Whose Image? God and Gender (Crossroad, 1990, 2001); Praying with Christ-Sophia: Services for Healing and Renewal (Twenty-Third Publications, 1996; Wipf and Stock Publishers, 2007); Counseling People with Cancer (Westminster John Knox, 1998); God, A Word for Girls and Boys (Glad River, 1993; Wipf and Stock Publishers, 2007). Jann’s articles have been published in The Journal of Pastoral Care, The Christian Ministry, and elsewhere. Jann is a new member of the EEWC-CFT Council, representing the Southwest. Click here to read the recent EEWC-CFT interview with Jann Aldredge-Clanton. role should be. Shawna is also an associate editor for The Christian Godde Project: Exploring the Divine Feminine Within the Christian Godde. The goal of The Christian Godde Project is to create a version of the New Testament using Divine Feminine names, images, and pronouns for Godde. Shawna lives in Chicago with her husband, Tracy, and their very spoiled cat, Victoria. She attends Chicago Grace Episcopal Church, where she is the Director of Adult Formation and a lay preacher. Shawna has an M. A. in Theological Studies from Nazarene Theological Seminary, over 10 years of pastoral experience, and 6 years of experience in the publishing industry. Workshop Description: The New Testament is not monolithic about Christian belief and worship; there are competing early communities of Christianity within our canon. Two well-known groups are those who followed Peter—the Petrine church–and those who followed Paul—the Pauline church. Both of these traditions started limiting the role of women in the church toward the end of the 1st century. But a third group—the Johannine church following John—had a different response to women’s roles. Many scholars believe the Gospel of John was written to refute the Petrine and Pauline crackdown on women’s ministry in the church. Come meet the women in this gospel and find out how this community of Christians offered a different story of women’s place in the earliest church and its ministry. Linda Bieze, Alena Amato Ruggerio, and Letha Dawson Scanzoni. Since 2003, Linda, Alena, and Letha have been meeting by long-distance phone every Friday night for personal sharing and Bible study. They represent three areas of the country (Midwest, West Coast, and East Coast) and three generations, each 20 years apart. Linda is an editor and writer, Alena is a professor of communication, and Letha is an author and editor of Christian Feminism Today and our EEWC-Christian Feminism Today website. Both Linda and Alena are past coordinators of our organization during service on the EEWC-CFT Council. Workshop Description: This will be a reprise of a workshop given at the 2010 gathering. You are invited to join a dialogue on money matters spanning the generations from Depression-era to Baby Boomer to Generation X. Linda, Alena, and Letha will talk about their personal approaches to money management and why it is important for Christian women to be wise stewards and managers of their finances. Long-time EEWC/CFT member and former Coordinator Claire Beutler-Cruise lives in Milwaukee with life partner and best friend, Howie, dog Lucy, and cat Cruiser. An ordained UCC minister, Claire serves as Life Celebrant for Krause Funeral Home providing services for people who have no religious affiliation, or choose an alternative to traditional funeral service. Claire and Howie share four adult children, three grandchildren, and four grand-dogs. You can get her to do almost anything for chocolate. Claire is coordinating the memorial for Nancy Hardesty. A Celebration Memorial Service for the life and works of Nancy Hardesty, co-founder of EEWC/CFT will be held Saturday evening. In this time together we will share memories and stories of Nancy’s life. We will laugh together and allow the tears to fall as they must giving thanks to Godde for the gift she was to us and to women and men the world over. Workshop Description: Laughter Yoga is based on emerging science from gelatologists (researchers who study the effects of laughter on the human body) that proves the old adage, “Laughter is the best medicine.” Laughter can boost immune systems; lower blood pressure; decrease the stress hormone, cortisol; increase seratonin, which elevates mood; increase dopamine, which relieves pain; and much more! And the best part is that we can do all this for free! In the workshop, we will learn where Laughter Yoga comes from and practice laughter exercises. Jan Clark was born and raised Southern Baptist in Macon, Georgia, and along her career journey served as a Baptist Book Store manager for several years in Greensboro, North Carolina. A graduate of Furman University, she later studied at Duke Divinity School, completed a year-long residency in Clinical Pastoral Education at University of North Carolina Hospitals, was ordained as a Baptist minister, and became a hospice chaplain. She retired from the hospice ministry in January 2010. She has been a member of EEWC-CFT since attending the Norfolk, Virginia, conference in 1996 and is presently serving on the council, representing the Southeast. Jan lives in Pittsboro, North Carolina. Jan will be presenting “Music from Past Conferences” and also coordinating the music for the Sunday morning worship service. Anne Linstatter describes herself on her website as “a writer, mother, (somewhat) radical feminist, and born-again Christian who teaches Women & Religion at California State University, Northridge.” She is the editor of Abortion—My Choice, God’s Grace: Christian Women Tell Their Stories (New Paradigm Books, 1994). Her commentaries appear on Women’s eNews and in Christian Feminism Today, as well as in her blog Martha y Maria: Women’s Lives, Women’s Rights. Currently Anne is working on a memoir about her own feminist expectations in collision with the social realities of marriage, church, paid/volunteer work, and raising three daughters. Anne is one of the founding members of EEWC-CFT, has served as a Southwest representative on the EEWC-CFT Council, and is a frequent writer and book reviewer for Christian Feminism Today magazine. Anne will be moderating the “Feminist Women of Faith” panel discussion. Diana J. Ensign, J.D. has studied Buddhism, Tai Chi, Yoga, Hinduism, Unitarian Universalism, 12-Step programs, and Goddess Rituals. She has participated in Wisdom Circles, Sweat Lodges, and Native American ceremonies. 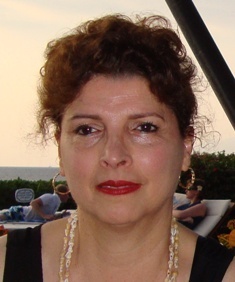 Certified in Reiki III, Diana has completed Shaman workshops, dream workshops, and nonviolent communication workshops. She is a graduate of the University of Michigan, Ann Arbor, with a degree in English and Wayne State University Law School, located in Detroit. Ensign grew up in Michigan and currently lives in Indianapolis. Her greatest teachers are nature and her two daughters. She lives with her husband, a biologist, who works for nature conservation. She celebrates life through music, long walks, and sunshine. Diana will be participating in the “Feminist Women of Faith” panel discussion. Mary Ann D. Fadae has a B.A. in ancient history and archaeology from the American University of Beirut and an M.A. and Ph.D. in Arabic language and literature with aconcentration in Sufism and Islamic studies from Indiana University in Bloomington. She has taught courses on Islam and Sufism at local universities and is involved in interfaith work. A convert to Islam, Dr. Fadae is a member of the Jerrahi Order of America, whose spiritual center is in Istanbul, Turkey. Currently she is translating a 13th-century Sufi mystical treatise on the Unique Name of God for publication. Mary Ann will be participating in the “Feminist Women of Faith” panel discussion. Reta Halteman Finger, a long-time member of EEWC-CFT, retired in 2009 from teaching Bible (mostly New Testament) at Messiah College in Grantham, PA. She lives in Harrisonburg, Virginia, and since her retirement from Messiah College has been teaching part time at Eastern Mennonite Seminary in addition to other writing and speaking projects. Reta edited the Christian feminist magazine, Daughters of Sarah, for 15 years and is a frequent writer and reviewer for Christian Feminism Today. Using the search box on our EEWC-Christian Feminism Today website, you’ll be led to many of her online articles. A gifted teacher, Reta is uniquely skilled in relating the Bible to today’s issues and in getting others involved in discussions about the material she presents. She specializes in life in the early church and is the author of Roman House Churches for Today: A Practical Guide for Small Groups, and Of Widows and Meals: Communal Meals in the Book of Acts. She is also co-editor with Kari Sandhaas of Wisdom of Daughers: Two Decades of the Voice of Christian Feminism (a book of selected articles from Daughters of Sarah magazine). Reta is a past Southeast representative on the EEWC-CFT Council. Workshop Description: The house churches in Corinth are falling apart. Factions vie for power and control. Both female and male slaves receive no honor, and the wealthy and better-educated pull rank over those socially beneath them. In this interactive workshop, we will examine selected portions of Paul’s letter to discern whether or not his words can help heal the schisms. Bring your copy of 1 Corinthians! Reta will also be participating in the “Feminist Women of Faith” panel discussion. Dr. Laura M. Grimes is a feminist theologian, hymn writer, and liturgist as well as a wife and mother of four children. Laura completed her PhD in Historical and Systematic Theology at the University of Notre Dame and was a Postdoctoral Research Associate at the Pontifical Institute of Mediaeval Studies in Toronto. She is the author of Wisdom’s Friends: Gertrud of Helfta’s Conversational Theology (VDM, 2009), Sophia’s Psalter, Sophia’s Rosary, and Sophia’s Book of Hours, Sophia’s Hymnal, and Advent Meditations. Along with Dr. Ann Marie Caron, she is presently translating Mechtild of Hackeborn’s Book of Special Grace for the Paulist Press Classics of Western Spirituality series. 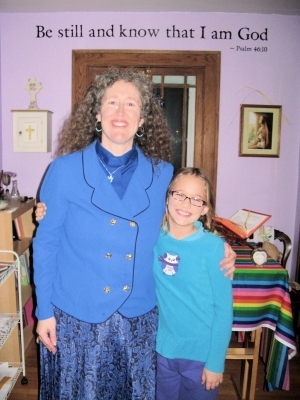 Laura completed her training in spiritual direction at Shalom Prayer Center in Mt. Angel, OR and her formation in Ignatian spirituality at Manresa Jesuit Retreat House in Detroit, MI. She leads retreats and groups on a variety of topics including “Discovering the Divine Feminine” and “Mother’s Comfort,” a unique prochoice/prolife friendly program for healing of pregnancy loss, termination, and stillbirth. 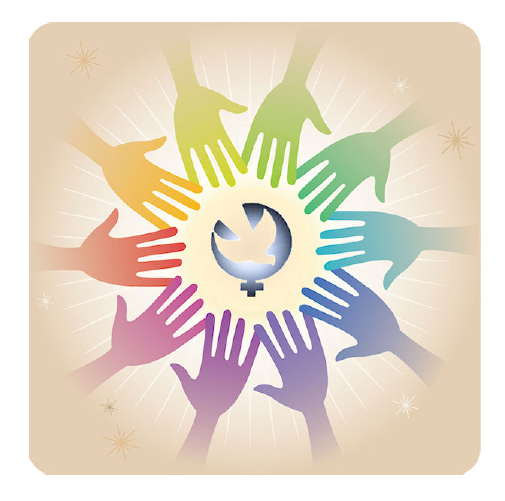 Workshop description: Join a sacred circle to experience and share resources, stories, and dreams of a new world where Christian prayer and worship honor Godde our Mother, Lover and Friend–and the full equality and dignity of women created in Her image. Feminist liturgist and hymnwriter Laura Grimes will create a safe space to experience and process divine feminine prayers, songs, art, and scriptures including texts from her Sophia prayer books and the Divine Feminine Version of the New Testament, for which she serves as co-general editor. Kendra Weddle teaches religion at Texas Wesleyan University in Fort Worth. Before that she taught religious studies for six years at George Fox University in Newberg, Oregon. Kendra reports that she became a committed feminist in college, and her research interests have centered around Christianity in America, women in Christianity, and Methodism. Her first book, Preaching on the Plains: Methodist Women Preachers in Kansas, 1920-1956 (University Press of America), was published in 2007. Kendra is a member of the EEWC-CFT Council, representing the Southwest. She and Melanie Springer Mock co-write the blog, “Ain’t I a Woman: De/Constructing Christian Images. Ellen McNutt has been teaching for over 20 years to adults, teenagers, and elementary students in Jewish education. Her studies have included the Holocaust, Jewish Identity, Values and Ethics, Jewish Life Cycle Events and Israel. She holds a BA in Elementary Education and an MSW from Indiana University with a non-formal Jewish education certificate from Brandeis University. Ellen served as Executive Regional Director of B’nai B’rith Youth Organization, presiding over Indiana, Kentucky and Ohio for over ten years. She did non-formal Jewish education in a camp setting as well as leading trips to Israel and Poland. At the Indianapolis Hebrew Congregation, Beth El Zedeck, she worked as Program Director, teaches religious school for grades 6-9, and serves on the Board. Engaging youth in meaningful conversations on Jewish topics is her calling. She is married to Sandy McNutt and has two teenage children, Drew and Rachel. Ellen will be participating in the “Feminist Women of Faith” panel discussion. 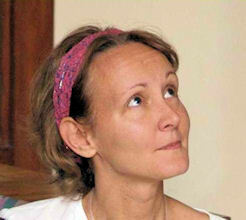 Melanie Springer Mock is a professor of English at George Fox University in Newberg, Oregon, where she was the winner of George Fox’s 2009 Faculty of the Year award. She earned her Ph.D. at Oklahoma State University in 1999 with a concentration in Composition and Rhetoric and Modern American Literature. Her most recent book, co-edited with Rebekah Scheneiter, is Just Moms: Conveying Justice in an Unjust World (Barclay Press, 2011). She also wrote Writing Peace: The Unheard Voices of Great War Mennonite Objectors (Cascadia Publishing House, 2003). Her essays have appeared in Christian Feminism Today; Adoptive Families; Mennonite Weekly Review; the Chronicle of Higher Education; and Brain, Child: The Magazine for Thinking Mothers; among other places. Melanie is not only a frequent contributor to Christian Feminism Today magazine but has also written Web-exclusive features for our EEWC-CFT website, including an essay titled “God’s Gift of Motherhood Comes in Different Ways.” Melanie represents the Northwest on the EEWC-CFT Council. She and Kendra Weddle co-write the blog, “Ain’t I a Woman: De/Constructing Christian Images. 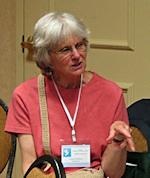 Virginia Ramey Mollenkott, a frequent speaker for EEWC-CFT events, is the author or coauthor of 13 books, including Women, Men, and the Bible; The Divine Feminine:The Biblical Imagery of God as Female; Sensuous Spirituality (recently revised and updated); Omnigender; and (with Letha Dawson Scanzoni) Is the Homosexual My Neighbor? A Positive Christian Response. For more than three decades, she taught English at William Paterson University of New Jersey and is a recognized Milton scholar. She has published numerous essays on literary topics in various scholarly journals as well as articles for religious publications. Virginia has contributed many articles and reviews to Christian Feminism Today, a number of which are available on our website. On of our website, you can listen to two of her presentations: “Comprehending the Dimensions of God’s Love: What Is Our Contribution?” from our 2006 conference in Charlotte, North Carolina, and “Dutiful or Prodigal: God’s Promise Remains the Same” from our 2010 Gathering in Indianapolis. Virginia is one of the founding members of our organization. Gail Ricciuti is associate professor of homiletics at Colgate Rochester Crozer Divinity School in Rochester, New York, where she has taught for the past 13 years. Before that, she served as a Presbyterian pastor for 25 years. Her articles and reviews have been published in Christian Feminism Today, and she serves on the EEWC Council as Northeast representative. Gail will be preaching at the Sunday morning worship service. Alena Amato Ruggerio is professor of communication at Southern Oregon University in Ashland, Oregon, and also served for a time as interim coordinator of women’s studies there. She earned her Ph.D. at Indiana University in Bloomington, Indiana. A prolific writer and frequent contributor to Christian Feminism Today, Alena’s work has also appeared in the Christian Century, The Other Side, Feminist Media Studies, Oregon Humanities, and Eerdman’s Encyclopedia of Religion. Her teaching specialties include courses in Women Transforming Language (feminist rhetorical theories), Texts of Truth (rhetorical approaches to interpreting sacred texts), and persuasion. Currently, she is also the assistant to the editor of Christian Feminism Today and has been guest editor or co-editor for several issues of that publication. Her article on third wave feminism was the first on the topic that Christian Feminism Today published. Her article,”Slaying the Public Speaking Mastodon: How to Vanquish Your Fears of Public Speaking” is a web-only feature on our website. You can listen to her 2008 EEWC-CFT conference speech on the audio section of our website. Alena serves on the EEWC-CFT Council as Northwest representative. 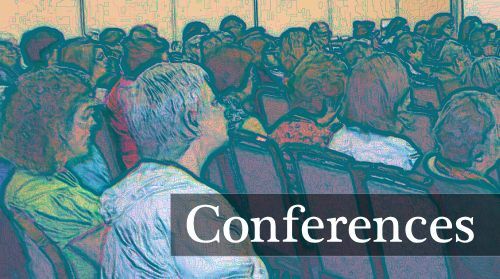 Alena will present a plenary entitled, “In the Presence of the Holy Word,” and will also co-present the workshop, “Christian Feminists and Personal Finance, Redux” with Letha Dawson Scanzoni and Linda Bieze. Linda Williams is a retired literature editor who worked for 23 years in educational publishing. Before that she conducted continuing education courses in poetry for 12 years, and she also taught English at a small college. In recent years, she has tutored international students in English as well as engaging in various editing projects. 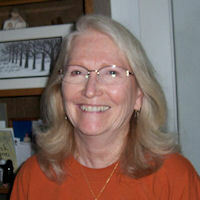 Linda has led retreats using poetry and has presented workshops on poetry at several EEWC conferences. For a preview of how she makes poetry come alive, see her review essay on Mary Cartledgehayes’s book of poetry, “Sweetness and Light in the Winter, 2008 issue of Christian Feminism Today magazine. She also wrote the web-exclusive book review of Poets on the Psalms by Lynn Domina. Linda’s appreciation of visual art matches her interest in poetry, as is seen in her comments about two remarkable paintings of the Supper at Emmaus, one of the most popular essays on Christian Feminism Today. Workshop Description: We will look at women’s poems from the 17th century through our own century to see how these poets gave voice to their experiences of suffering and loss and how they did or did not come to a place of healing. Engaging with the poems can bring insight into our own stories and struggles. These are the women who made it all happen! Thanks to each of them for their dedication and excellent work. Sharon Bowes (EEWC-CFT Office Manager), Lē Weaver, and Letha Dawson Scanzoni (Christian Feminism Today website and magazine editor) provided assistance. Click here to open the Gathering Schedule. The file is in Adobe Acrobat format and will open in a new tab or window. It was an event in the planning for 20 months, so its arrival was anticipated with enthusiasm by those of us on the conference committee. We had put our hearts and souls into every aspect of this conference; and as we prayed together before we left Sharon Bowes’ house to head to the Sheraton Indianapolis City Centre Hotel.